Here you can sign up to receive The Quick Time Saving Guide for Busy Moms from Insider Mom. In it we provide tips to help you schedule your day so you can have more time for what matters to you. Get the Time Blocking To-Do List to help you prioritize your tasks, making more room for the things you want to do while getting what you need done! Learn the tips to carve out more time for yourself and the things that matter to you. We share ways you can make more time for your fitness, health and well-being. Only have 5 or 15 minutes for yoga or cardio? It’s okay! Work with it, it can help. As a mom, sometime self-care is often put on the back burner. We share some ways that you can make more time for it so you can feel at your best! Get the guide and also receive uplifting tips and inspiration we only share with Insider Moms. Sign up and get the FREE guide! Copyright © 2019 – Insider Mom – All Rights Reserved. We know you're busy mama and we want to help you. 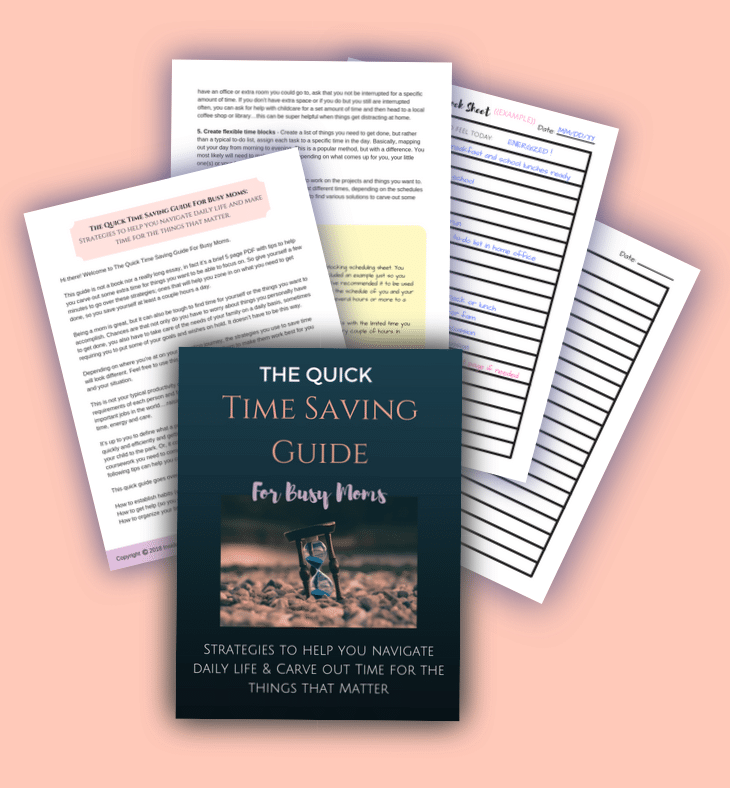 The Quick Time Saving Guide For Busy Moms offers straightforward tips and strategies that can help you organize your day and feel great.